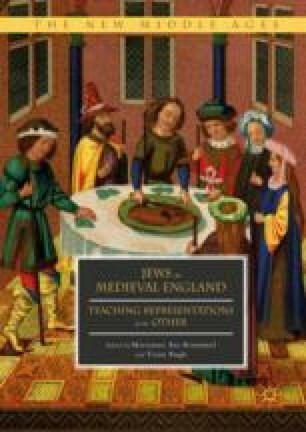 Miri Rubin’s translation and edition of Thomas of Monmouth’s Life and Passion of William of Norwich facilitates the teaching of this seminal account of ritual murder to undergraduates. This essay approaches Life and Passion from a cultural studies hermeneutic that employs maps and spatial monstrosity (Augustine’s monstrare) to comprehend the construction of the Jew in a specific geographical and historical context. Students interrogate Jewish and Christian identity and ambiguity by mapping the space of the monastery, the Cathedral, and the city and environs of Norwich, thereby discerning the intersection of geography and cultural identity.